It will soon be Spring! I know it is hard to tell with this rain, but we did have 3 warm days in February. It certainly is a good time to stock up on the paint remover ready for Spring or just to get on with the internal paintwork you are desperate to remove. 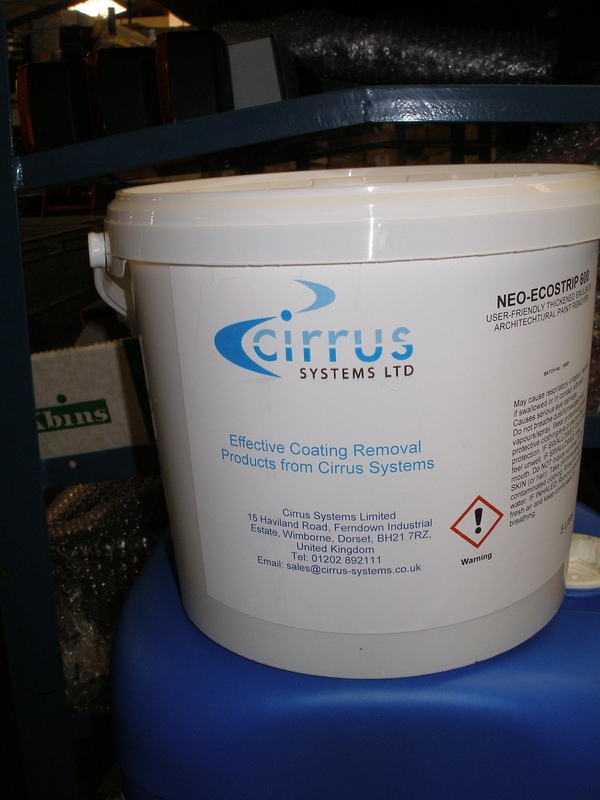 Cirrus Systems Ltd, sell the UK manufactured, paint stripping product Ecostrip 600 Architectural. This DIY paint strippping product has proven to be more effective and efficient than the previous RemovAll range on wood, masonry and metals. The product has also been incredibly successful in removing powder coating from steel within 3 hours. This product has no UN number for transport. The most recent tests of the product on aluminum substrates have been very successful removing various coatings. No detrimental effects were shown on the underlying aluminium substrate. The product will take varying times to remove coatings depending on what they are. Volume discounts are available for this product by telephone order. If you are in Dorset and wish to purchase directly from our Ferndown Industrial Estate warehouse please telephone before arrival.